Still rustic and charming, Big Bear CA hasn't changed much since the early 50's. While other resorts have become modern, the only thing changing in Big Bear are the size of the mountain vacation homes. 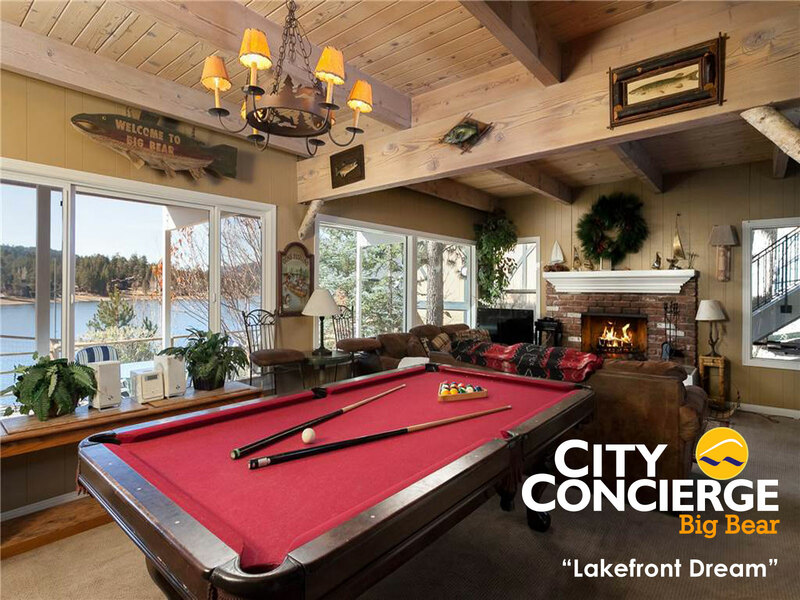 Our Big Bear vacation homes for rent are more beautiful than ever, and we have them available year round. More and more Southern California families rent the larger luxury rentals now available in Big Bear home and some of our estates start at 5 bedrooms and get large enough to hold groups up to 20 people. Many are on the lake, near the slopes or tucked in the hills of Moonridge. These are large breathtaking homes ready to occupy any time of the year. Each is professionally maintained and with the help of City Concierge, we can bring in private chefs, fill your refrigerator with groceries, or have one of our assistants take your kids out for nature hikes. We want your vacation to be grand, so plan your Big Bear vacation with us. The perfect getaway is only 2.5 hours from Los Angeles, yet full of fresh clean air, starry skies, and wonderful family memories.